Let us know what you think of these amazing stories in the comments below and in our forum! 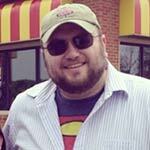 Eric Johnston is the primary admin of Batwoman.tv as well as Supergirl.tv and Stargirl.tv. He's been involved in the entertainment industry for over four years now and enjoys covering DC hero shows.